There are a number of different types of toilet ans do you need to be fully aware of what can and can’t be fitted in your bathroom before you go to purchase a toilet. Ideally, you may need to get a plumber out to check what type of toilet you have because it depends on where the cold water feed is and how the toilet is set up at the moment. We often take toilets for granted but they are sure a necessity, without which you may be in a bit of a strife. Therefore, take time to decide on which toilet to buy, as a good one will be worth it’s value in the long run. With such a range of styles and designs available, it can be difficult to know where to start. This guide will explain the available and popular options, and also tell you everything you need to know to find the perfect toilet for your bathroom. A closed-coupled toilet has two separate ceramic pieces – the cistern and the pan. The cistern is mounted directly on the top of the pan. It typically has a dual flush button and in some models a lever handle. These are the most common toilet-type in the UK. They come in a large number of designs, shapes and styles. They are usually the cheapest options in terms of purchasing and installation. So, while choosing your model, let your personal sense of style shine through. Drain pipe usually goes out to the left, right, down or back. These toilet units are ideal for creating a modern and minimalist look. They have the cistern concealed in the wall or incorporates a piece of furniture to provide a neat finish and also provide a clever way to maximise space in the cloakroom. Some concealed cisterns measure 10cm or less in depth, so overall depth is less than a close-coupled toilet. If you need to adjust or repair a cistern – the access is either through a panel that is fitted withing the bathroom furniture, or via a flush plate, fitted in a wall. Either way, maintenance is usually not much difficult than a standard toilet. 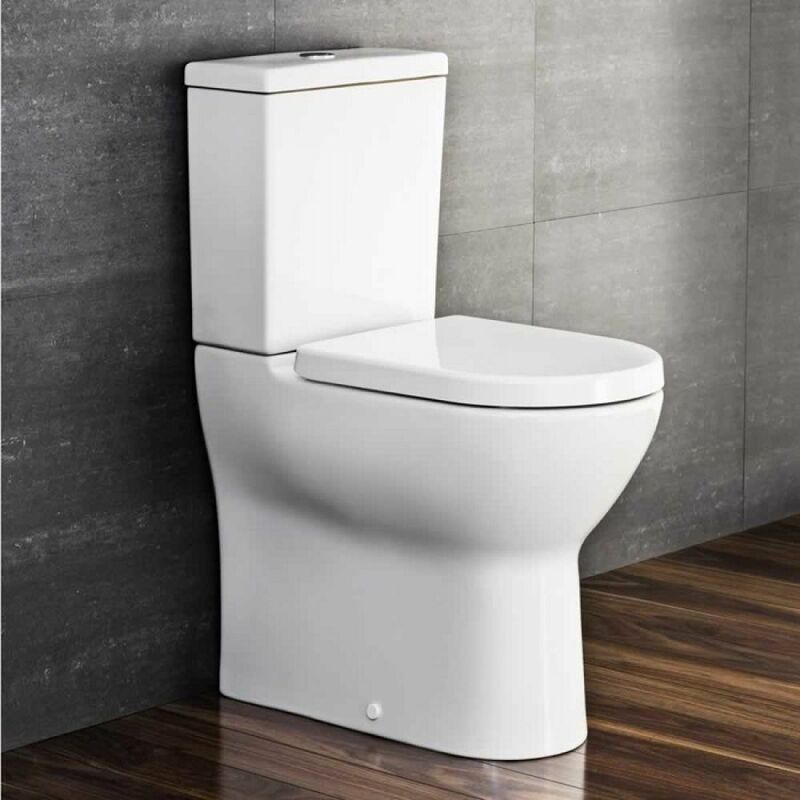 Wall mounted, or wall hung toilets, also have a chrome flush plate to provide access to the cistern as it is hidden away inside a wall or a furniture unit. The toilet needs to be supported by a strong wall frame that houses the concealed cistern. A wall-mounted toilet can usually be fitted to any wall, provided it is reinforced and supported strongly. The mounting frames are built to support around 200kg weight when properly fitted, so that you don’t need to worry about it falling off the wall. These toilets are sometimes called fully-enclosed toilets. They are a type of close-coupled toilet, goes fully back to the wall and creates a neat look. Although you should remember that if your waste pipe exits to the left or right of the toilet, you won’t be able to choose this type. Designed to make it comfortable for the user, these toilets are 4 or 5cm taller than a normal toilet. The extra height may not seem like a big difference, but for slightly taller people, the elderly or ailing people, it makes getting up and down from the toilet much easier. Easy access for both the elderly and the less abled. Along with the toilet unit, you may also need to think about your choice of toilet seat. 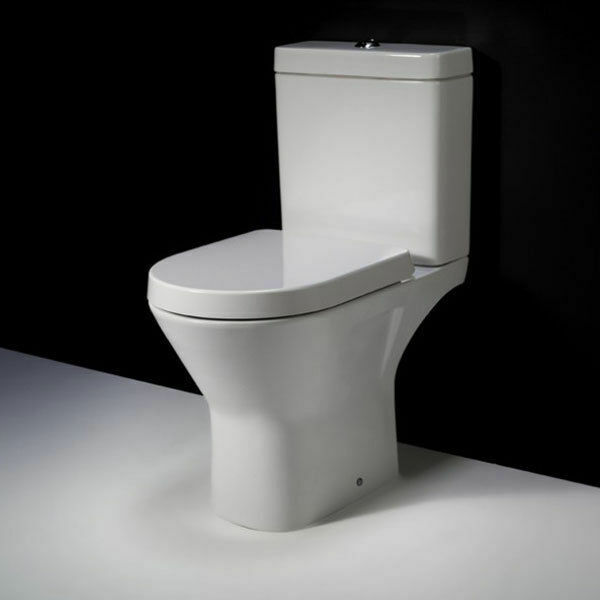 Most of the toilets include seats, using the simple and convenient quick release design of easy fitting. However, you can also choose soft closing seats, that makes releasing and closing the lid smooth, without any sudden bangs, reducing wear and tear. Depending on the style of toilet, there are a range of choices or finish, such as a solid oak, walnut effect, or the classic white. Seats also come in various other materials, including Thermostatic, with a quality hard-wearing finish and is easy to maintain and the Thermoset, a deluxe polymer, U resilient and colour-fast material that is anti-scratch, and has a sturdy surface. If you have a concealed system, please be absolutely sure that you have an accessible panel. Without this, you can’t carry out a maintenance easily. Give us a call to ask one of our team to help you with this 01727 730590. These are the classic toilets that have been around for decades. They are extensively available and easy to install. However, they take up up a bit more room as the cistern needs to be mounted on the wall. But they do come in compact designs to minimise the pushiness of the external cistern. Water Efficiency: Try to buy toilets that are dual flush, for example, that have the option of a half or full flush. This will help you to choose a more water efficient toilet. Cost: Decide on your budget beforehand as it will determine the efficiency, longevity and style of the toilet, from the basic suites to the more luxurious one. Also, ensure the warranty and replacement parts while choosing the model. Aesthetics: A toilet is never meant to be the stand-out feature of your bathroom, however, you would definitely want it to blend in with the rest of your bathroom furniture. There are a huge range of options from finishes, shapes and flush systems to choose. Need help? Email office@bakersmithlimited.com or give us a call on 01727 730590 today. This entry was posted in Bakersmithblog. Bookmark the permalink. Underfloor Heating …. Pros and Cons! Suite K, 19-25 Salisbury Square, Hatfield.